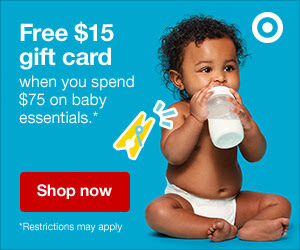 This week at Target you can get a $15 Target gift card when you spend $75 or more on baby essentials. Target offers free shipping with your purchase of $35 or more and free returns on every order. This offer ends today, August 4th.